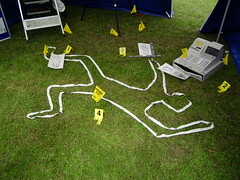 crime writing solutions | Offering guidance and advice to writers of crime fiction. Are you seeking crime writing inspiration, looking for your investigative muse or your policing Mo Jo? Have you ever come up with a story-line only to wonder if it would work the way you would expect it to? Not sure how the police really work? Ever wondered if your killer really can get away scot-free? Want to know how a real police investigation works? Having problems with your police procedures? If you are, look no further. Help is at hand. With 30 years police experience I can tell you how it really is and just where you can get your plot, twists and turns along with creative ideas to get your novel going or restarted. Inspiration, ideas, knowledge, guidance and support are what I can offer you so send me your questions, your problems and let’s see what you and I can do. Follow this blog to get regular posts offering ideas and inspiration by clicking the “Follow” but above and to the left. Still not sure, just have a look at a few of the posts on the left to see the sort of ideas and advice I can offer. 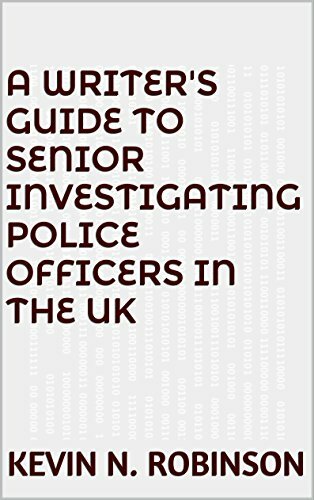 Available now from Amazon is A Writer’s Guide to Senior Police Investigators in the UK. This book is perfect for those writers wanting to make their lead detectives or Senior Investigating Officers (SIOs) credible. Inside you will find details of what exactly a lead investigator and Senior Investigating Officer is, how they become one, what training they undertake and what 38 qualities and expectations they are expected to exhibit. You will also find 27 specific ideas of how to take your stories forward and/or create conflict in them. There are also hyperlinks to 79 websites or documents that you may find useful in building up your understanding of what a Senior Investigating Officer needs to know and apply during a major investigation. All of this invaluable information can’t help but allow you to create a convincing, believable story. If you are one of those authors that want to have a close relationship with a police officer who has years of experience of policing in the UK that they can call upon to answer accurately and reliably, their troubling questions about the police, their policies and procedures, A Writer’s Guide to Senior Police Investigators in the UK will prove indispensable to you and enable you to bring authenticity and realism to the lead detective and senior investigators in your stories. Don’t forget you can still obtain your very own copy of the British Police and Crime Directory for Writers and Researchers 2016. Not only have the links in the 2015 edition been checked and verified but over 70 pages of extra links have been added. This now means that you have immediate access to contact details of the 72 police and other law enforcement agencies and departments; more than 350 manuals, documents and guides about the police, investigating crime and criminals; 85 websites that provide you with other exciting and useful information; 69 video clips to increase your understanding and knowledge about the police at work; 42 social media links that will keep you updated and informed, along with links to 85 books about the police, policing, crime and writing crime fiction that you will find invaluable. 218 Facts a Writer Needs to Know About the Police is now available on Amazon. So to get your very own copy click the title above or the picture of the cover to the right. If you don’t want to make mistakes with your fiction but you don’t have a police adviser in your pocket or hanging at the end of a telephone call just dying to answer the question that you feel really stupid for having to ask, buy this book. I’ve put it together to save you the time you’d have to spend conducting the research (even if you knew where to look in the first place) or having to flatter, coerce or bribe a police officer who has sufficient experience to provide you with accurate and up to date information along with a series of ideas for taking your story forward. If you find any of these books useful, please let your friends and colleagues know about them and a positive review is always most welcome. If however, you feel that any of the book failed to meet your expectations or you found a mistake or dead link, just drop me a line at “the(dot)writer(AT)hotmail.co.uk” Don’t forget to swap the dot and AT for their respective characters. you can still get your copy of t he British Police and Crime Directory for Writers and Researchers via Amazon. It is more up to date than Writers, Researchers and the Police and greatly expanded to increase the number of police contacts from 55 to 71. There will also be links to over 200 essential manuals and documents every writer is likely to need to bring authenticity to their work. There will be details of 100 websites every writer and researcher should know about as well as 37 video clips showing how the police actually work. Finally, there will be details of 58 books that may be of use in the formulation of your stories.